Who doesn’t love a bank holiday? Especially when there are two in one month! I spent the first May bank holiday in London, so my flatmate and I threw a party in our home, which was a lot of fun. 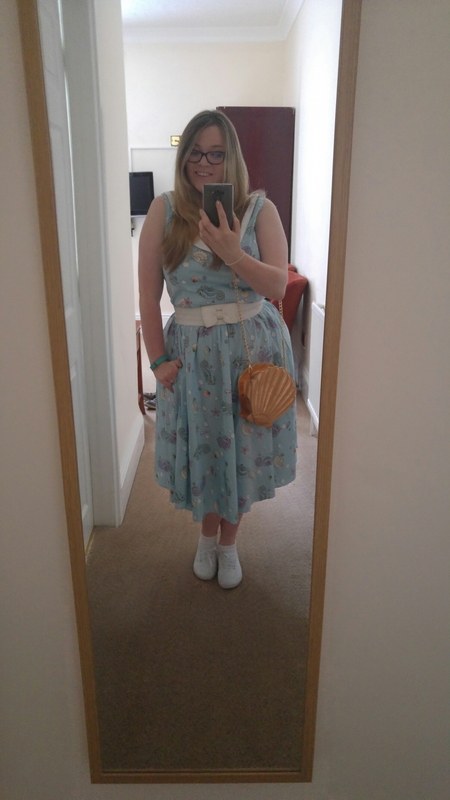 For the second bank holiday, however, I wanted to get out of London and go somewhere new. This year has been awesome for travelling, I’ve already been to Milan and Ireland (twice), and I’m currently in the USA. For the bank holiday, I wanted to check out somewhere in the UK. I’ve lived here for over five years, and I still get a little embarrassed at how little I’ve travelled around the country. 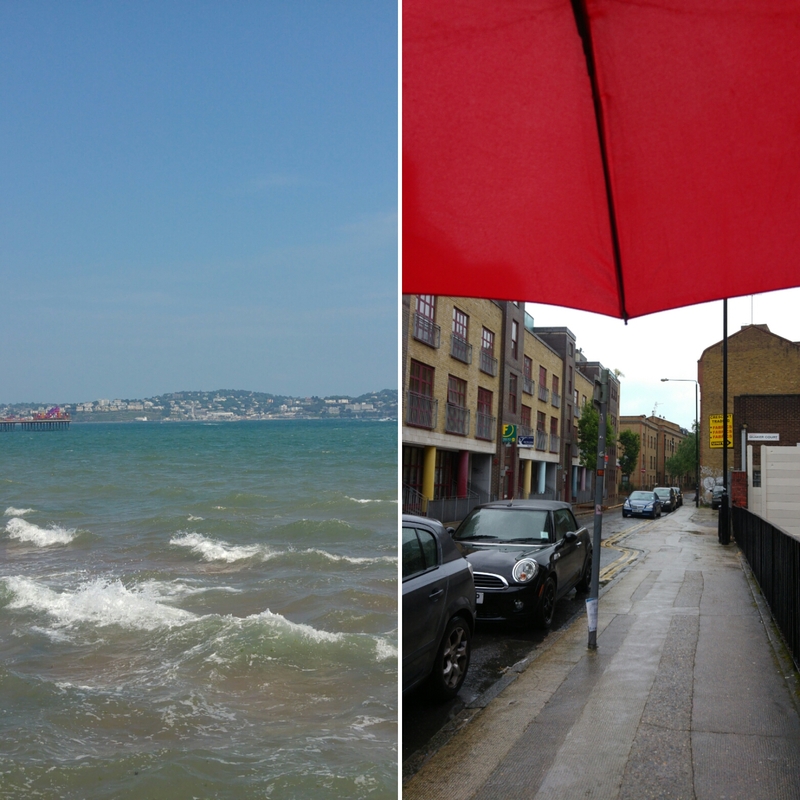 The bank holiday also coincided with The Bulgarian finishing uni, so going somewhere like Torquay sounded like a good idea for a nice, relaxing weekend. When we arrived, it was quite late, so we’d missed the day’s sun. 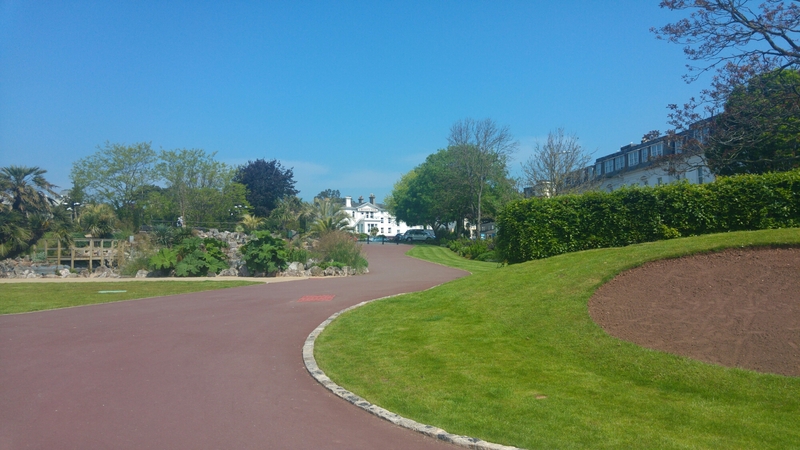 We checked into the hotel, but it was still a bit early to go to sleep, so we decided to go for a walk along the seafront into the town centre. Neither of us were hungry, as I had done the typical Irish-person-going-on-a-journey move and made enough sandwiches to feed an army. We found a bar along the harbour and decided that we could probably manage a drink. 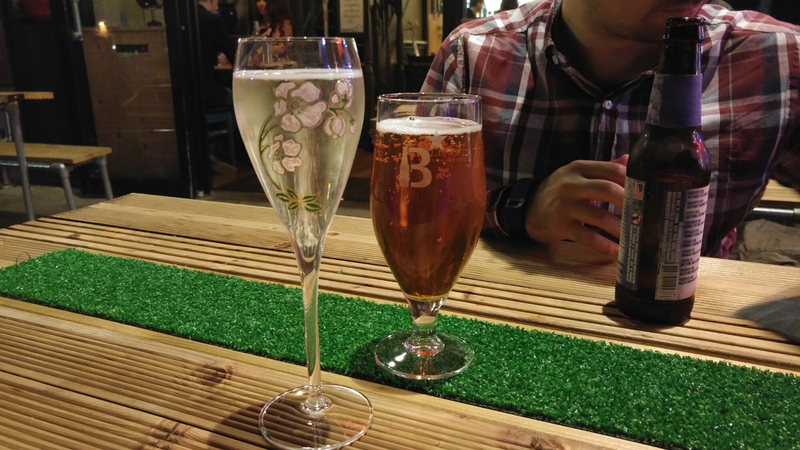 I loved the glass my prosecco came in. 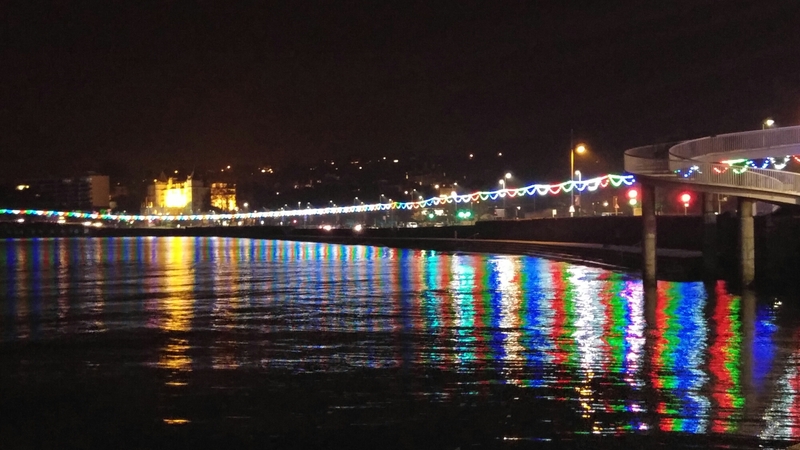 On the way back to the hotel, it was fully dark, so the lights looked brilliant against the water. 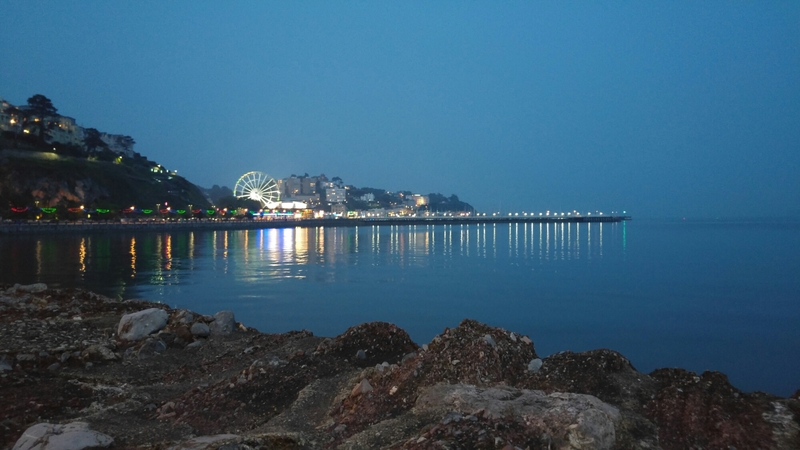 The next day, we planned to go for a walk along the cliffs and the coast to the next town over, Paignton. 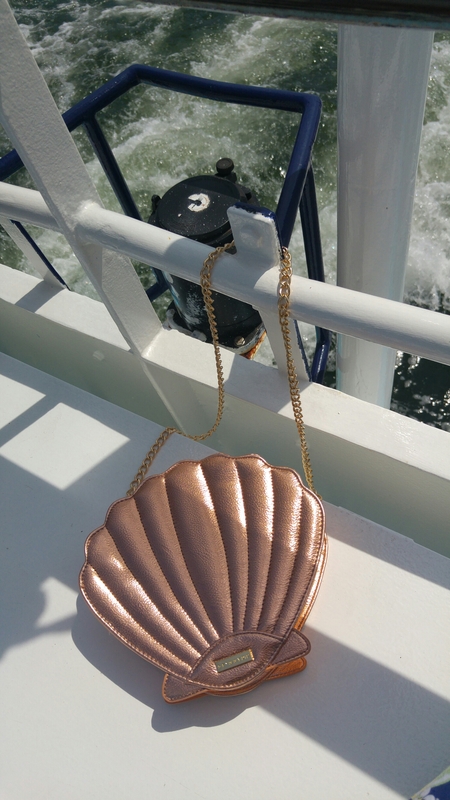 I figured a day by the seaside was a great excuse to wear my seahorse dress and seashell bag. The sun was out in full force. I love when the sky is this beautiful shade of blue. You can just make out our hotel in the background! 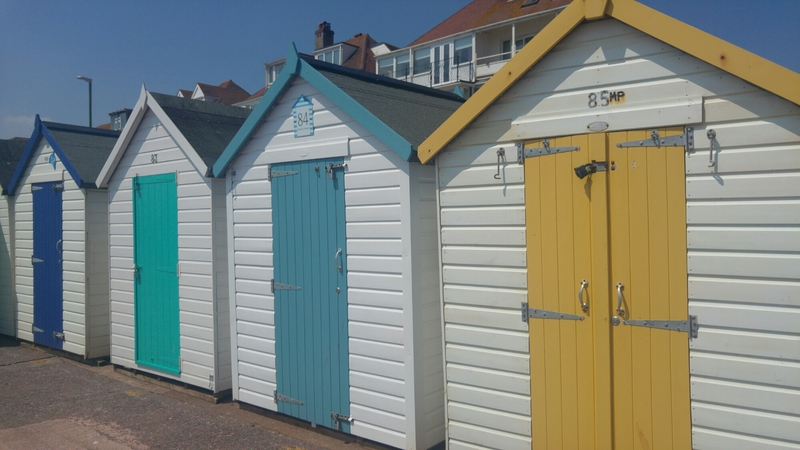 I got about 50 pictures of beach huts, I just loved how colourful and pretty they were. 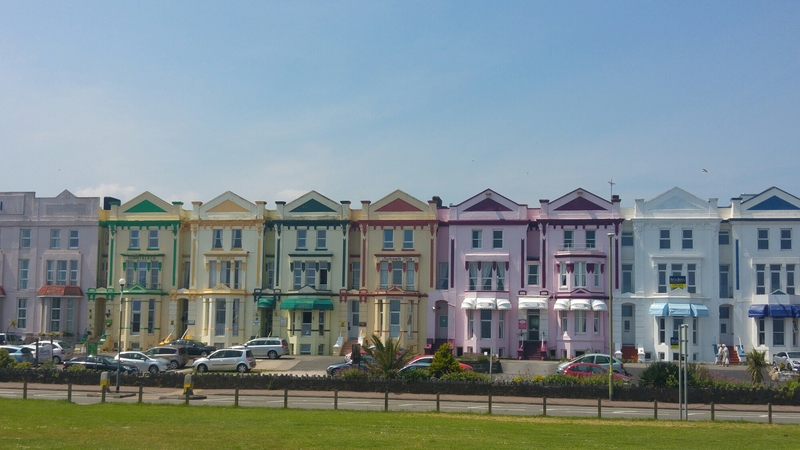 Even the seafront buildings were colourful and cheerful looking. I love being by the sea, there’s something so calming about watching the waves. 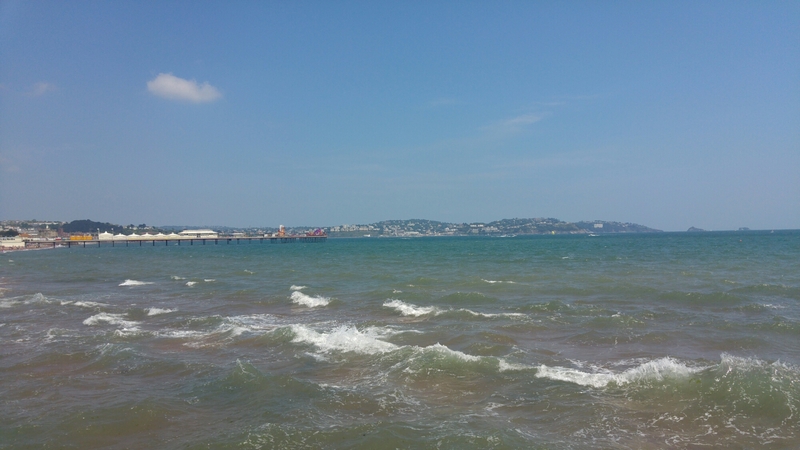 After our walk, we stopped into a place called Jack’s Waterfront back in Torquay. I love nachos, they’re one of my favourite foods, so you can imagine how appalled I was to receive this. 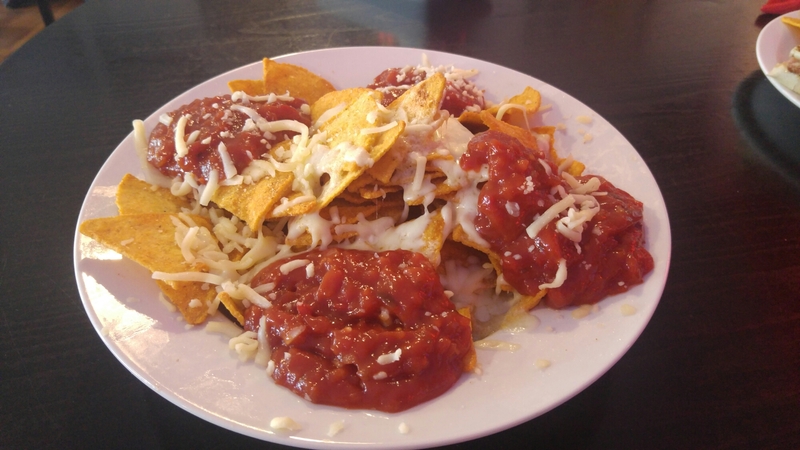 In my mind, nachos include sour cream, guacamole, cheese, salsa and sometimes jalapenos. This lot gave me a bowl of tortilla chips with big globs of relish, and some cheese. For the grand total of £7, they were essentially offering a bowl of crisps and ketchup. It was foul, and the majority of it went untouched. That night’s dinner more than made up for it though! The Bulgarian took me to dinner in a gorgeous place called Amici. The staff were so friendly and the food was amazing. I’d originally asked for the pesto risotto, not the pesto pasta, but when it arrived, it looked so delicious that I didn’t care and didn’t want to swap. I’m actually really glad they got my order wrong, because it was honestly one of the nicest pasta dishes I’ve ever had. In fact, I’ve been craving it ever since. 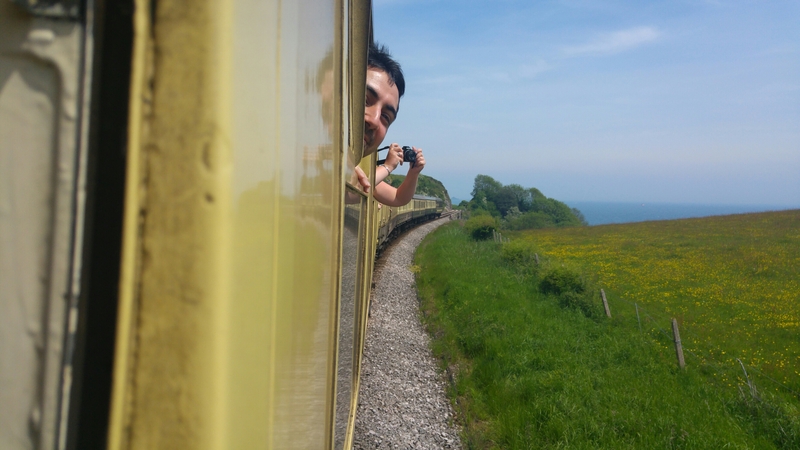 The next day, we had a train back to London at 7:45pm, so we still had the whole day in Devon. We’d seen a couple of posters advertising a steam train tour, and as it was something we had discussed doing before, we decided to give it a go. 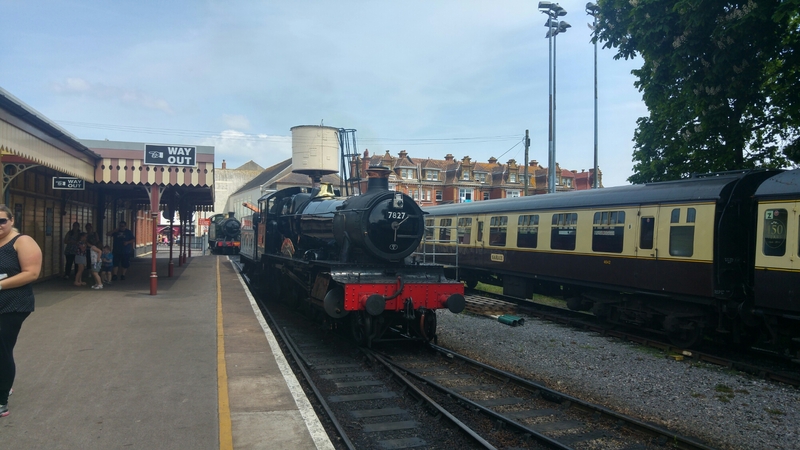 The tour was a steam train from Paignton down to Dartmouth, then a river cruise up the River Dart, followed by a steam train back to Paignton. I’ve done an awful lot of fun things with The Bulgarian, I like to think we’re quite good for getting out and about, but I can honestly say that this was one of my favourite things we’ve ever done. You know those days where you just feel so happy and loving life? This was one of those. It was beautifully sunny, the train was so fun and I was with my favourite person. I’m pretty sure he loved it too. Down in Dartmouth, we had a choice of getting a cruise in 20 minutes or an hour and 20 minutes. I loved the look of the town, and wanted to go for a wander first, but after a 20 minute walk around the town (its very small), we realised the cruise was still boarding, so we figured we might as well get this boat! It really was such a pretty town though. 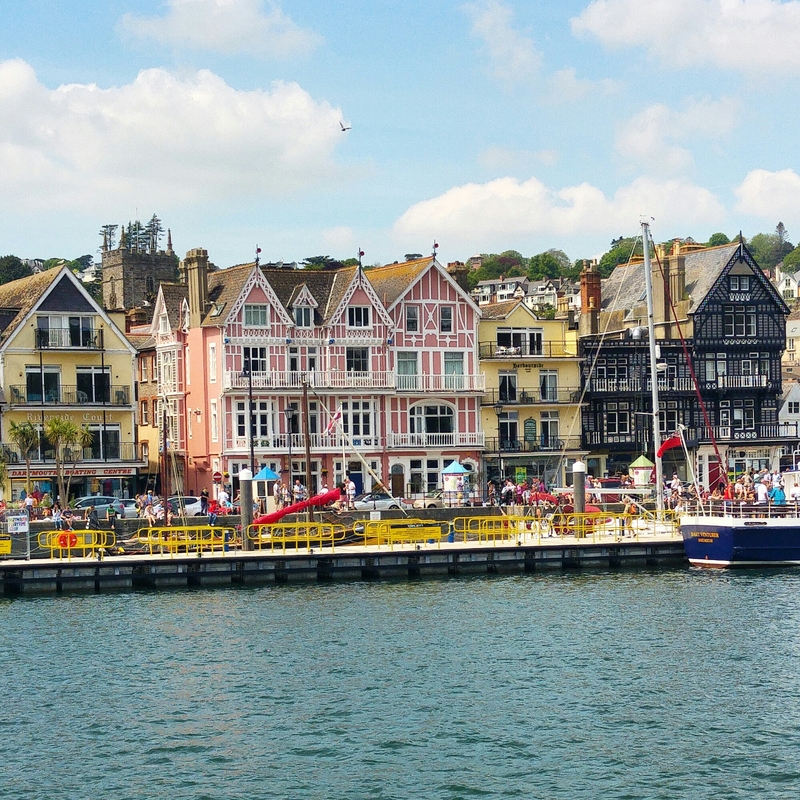 Tudor style buildings are my favourite kind of architecture, and the seafront buildings looked like something from a postcard. We headed back to London the night of the steam train and cruise tour, and it was nearly 1am by the time we got in. I was so exhausted getting up for work the next day, and it didn’t help that it was lashing rain. Such a contrast from the beautiful weather down in Devon! It was such a fun weekend, and it would definitely make me consider spending more weekends away within the UK, especially if there are such pretty spots to explore. Hope you all enjoyed yours too!